Home > Blog > Let us be your Fairy Godmother! Let us be your Fairy Godmother! We didn’t just launch an online shop in 2013 – we also created a Wish List feature for you to send someone who loves you the list of art materials you need. The Wish List tool allows you to browse the site and add items along the way so they’re saved each time you search - even when you shut down and come back days later. If you choose to, you can then send your list to a friend or family member as a subtle reminder of your favourite materials! Please remember that this isn’t the same as your Basket, which is for checking out there and then. 1. You can access your Wish List initially by going straight to ‘My Account’ – while it’s empty, it will look something like this. 2. When a product catches your eye, be it a gift for someone else or one of your own essential items, the Wish List button is located directly underneath ‘Add to Basket’. 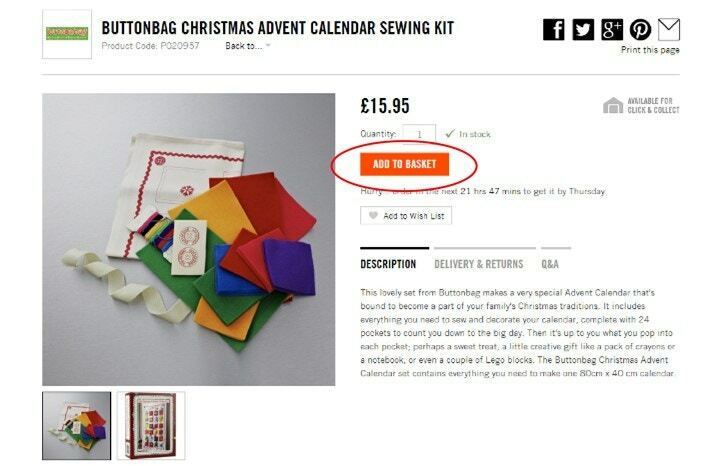 Once you’ve clicked, the item will automatically be added to the list, but you’ll remain on the product page. 3. You’ll see a banner like this pop up. 4. When your Wish List is looking pretty full, you could either keep it to yourself or send it to a loved one! Head to the top right corner of your Wish List and click on the button ‘Share with a Friend’ or post the link into your Facebook account, Twitter or Google plus! 5. Here you can enter your details, along with the details of a friend and Cass Art will happily send your Wish List to them! Start browsing right away, and creating that list for easy art materials delivered straight to your door. And don’t forget to share your work with us on our Facebook and Twitter.